Korean Spicy Noodle – Spicy Korean Soup – Easy Soup Recipes | Cook Eat Delicious! Zero Carbs, Zero Calories, Zero Fat…sounds a little iffy right? 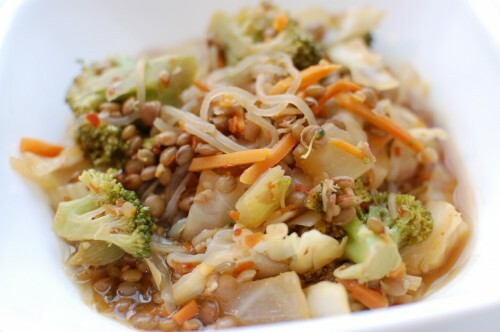 Well, I am not talking about this easy recipe (although it is super healthy and full of great stuff), I am talking about the Konjac Shirataki noodles in the soup. 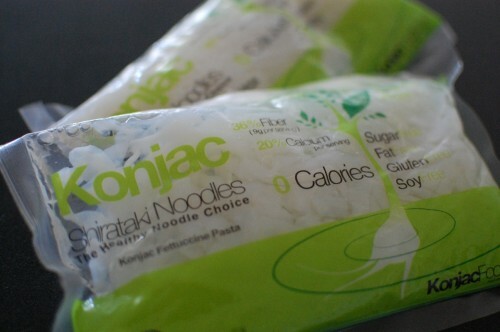 Naturally I was skeptical when Gita over at Konjac Foods sent me some samples of their products. The noodles boast the whole “Zero” thing and are said to be pretty good. 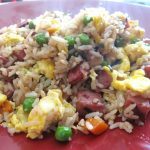 I found that they will only really work in an Asian recipe. They didn’t just go well with Marinara or Alfredo sauce. They also smell funny when you open the package. Just rinse them a few times before using! Once rinsed they are ready to go and be eaten. 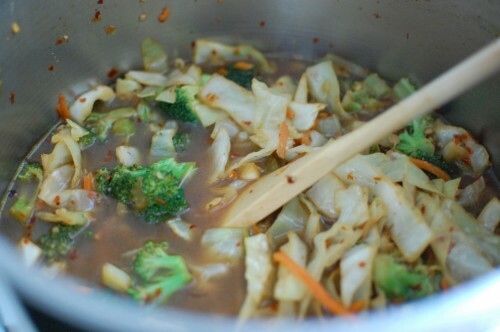 The perfect recipe for the Konjac noodles is this Spicy Korean Noodle Soup. 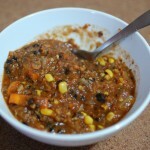 Delicious Rating: This soup is chock full of all kinds of yummy goodness. You have spicy that you can control to your palate level. 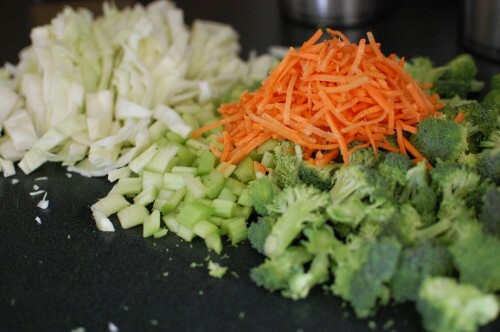 Assorted veggies for color and healthiness. 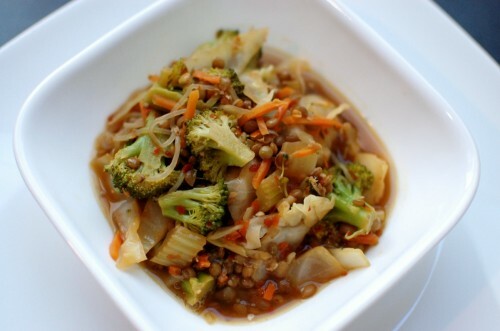 Lentils for depth of flavor and protein. And Konja Shirataki noodles for the extra slurp down! 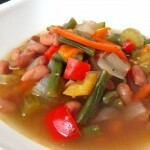 I love this soup and the heat and Asian flavor it gives off. Try it and let me know what you think! 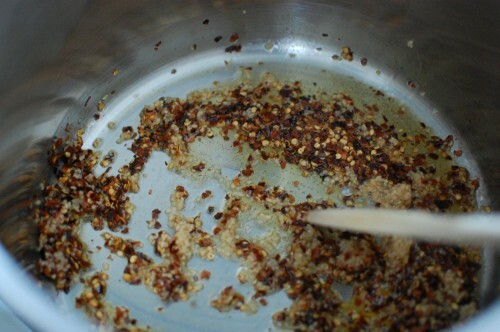 In a large pot heat sesame oil, minced garlic, and pepper flakes over medium heat. 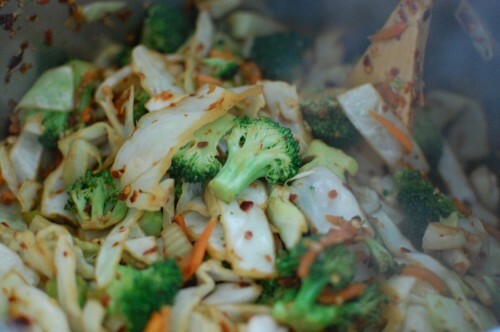 Add in cabbage, celery, broccoli, and carrots and cook over low-medium heat for 7 minutes or until slightly softened. Add in water, soy sauce, and chili pepper paste. 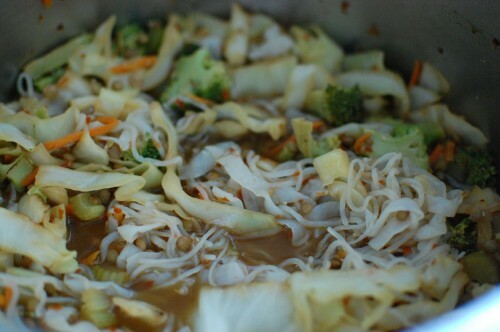 Stir in lentils and Konjac Shirataki noodles. 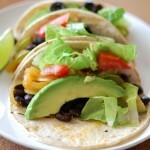 Combine all well and alter seasonings to taste. 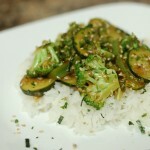 Try not to have huge florets of broccoli, they get in the way if too big in the soup when eating. At this stage the veggies will smell delicious. 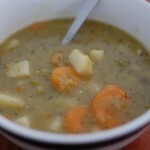 The lentils are great for some depth and protein. I added already soaked lentils, not raw ones. If you don’t have them don’t worry. It’s so delicious. I felt a little bit hungry showing the pictures. Nice blog!